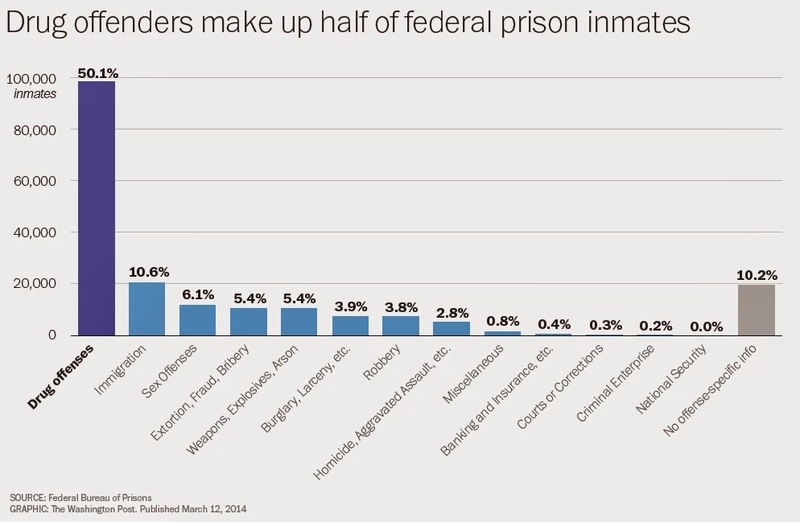 Not exactly a financial chart, but the stunning visual below shows that the war on drugs is responsible for over 50 percent of the federal prison inmates in America. Is the cost of this war outweighing the benefits? Is the U.S. government even winning?